My design philosophy is that every garden needs to be beautiful, useful and sustainable. My work has included hundreds of gardens in the greater Santa Barbara, Goleta, Montecito and Ventura area since the late 1970s while also helping to educate the public through adult education, master gardener and college classes. Gardens range in style from sleek, lean contemporary style, to Old World traditional, Mediterranean, and uniquely eclectic gardens perfectly suited to the individual client. Range of services from simplest to more involved: • One-time consultation to stimulate new ideas and introduce a more sustainable approach. • Planting design quick sketches and generating plant lists for owners to select from on their own. • Guided plant shopping trips, wholesale purchasing and final placement • Site planning and planting design drawings for installation by owner or contractor Typical clients include those with “tired” existing landscapes in need of a planting facelift and those seeking to re-imagine their outdoor spaces. With the ongoing concern for water savings, many projects include lawn removal and replacement with water-conserving gardens and creating new spaces for outdoor living. I also provide garden “staging” services for clients preparing to put their house up for sale. Many clients have on-going “works in progress” where we start with a general master plan and gradually tackle sections of their yard to achieve a coherent finished product. Charles McClure grew up in Southern California in the 60s and 70s. When he was young, his family hired a landscape architect to design their residential grounds that included indoor/outdoor patio living and swimming. He spent many hours at the famous Descanso and Huntington Gardens. His mother introduced him to the concept that some outdoor spaces are actually designed by people and that often makes them much more enjoyable live in and look at. McClure went on to study at Cal Poly SLO, receiving a BS in Landscape Architecture and he was the first in his class to obtain licensure in 1989. He has worked in Beverly Hills, Palm Springs, Westlake Village and Santa Barbara. When we refer to landscape, we are referring to outdoor space and all of the elements contained in it, not just plantings. The landscape architect is responsible for the well being of everyone who enters his designed spaces. Elements are selected with this in mind. Vertical elements can excite, horizontals calm. Color draws attention. Ever consider why the Japanese garden is associated with calm and relaxation? It's because these gardens are filled with horizontal lines, some cut into the tree canopies, and color is limited or non existent. Interest is gained by contrasting shades of green together as well as varying textures. Water is used in a very natural way. Contrast that with a Las Vegas-style fountain. It is fascinating to consider that design has the power to effect people’s lives so profoundly.When we refer to landscape, we are referring to outdoor space and all of the elements contained in it, not just plantings. Hello! I am Natasha the owner of Sweet Smiling Landscapes. All my life I have had an equal attraction to art and design as well as horticulture leading me to a career in landscape design. While undergoing my course work for a BFA in sculpture at California State University Long Beach, I found constant themes in my work were the human relationship with the outdoor world. I found myself particularly interested in how humans have worked with nature to create a built world outside in the forms of farms and gardens. So, after graduation I followed my interests. I studied permaculture, and then horticulture at Santa Barbara City college (where I now teach Landscape Drafting). I am an EPA-certified Water Wise designer, certified permaculture designer, and certified Green Gardener. Today use my skills as an artist and my knowledge of horticulture to create beautiful, functional and sustainable outdoor spaces. Sweet Smiling Landscapes create outdoor spaces that are as artful as they are ecologically sound. Sustainable landscape design is an opportunity to create gardens that are living pieces of art that serve to improve the local ecology. I am committed to designing gardens that are water-wise and fire-wise. My designs carefully consider ways to blend the wants and needs of my clients with the specifications of their property in each project I undertake. Bringing together the elements of sustainability and natural aesthetics, I design beautiful spaces to allow my clients to fully enjoy the outdoor areas of their home. Free One-Hour Consultation - Say Houzz! 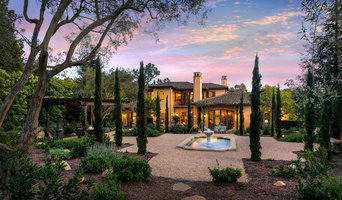 We are the #1 luxury landscape design firm in Montecito, Hope Ranch and Santa Barbara. Making Santa Barbara's Outdoor Living Dreams Come True! Specializing in contemporary and native plant design. Robert Andrew Fowler Landscape Architect is a professional firm, State of California - Dept. 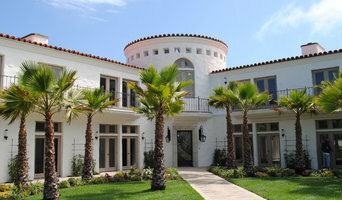 of Consumer Affairs licensed firm, providing Design & Consulting Services in the Santa Barbara & Central Coast areas. With almost Thirty years of experience, Robert has developed the unique ability to provide an overall Creative Vision that can incorporate a wide range of Garden Styles and can compliment any Architectural Theme and/or Site Environment. Eye of the Day Garden Design Center is a retail showroom that features more than an acre of high quality garden landscape products, including fountains, Italian and Greek terracotta, French Anduze and garden products from America's premier concrete garden pottery and decoration manufacturers. Eye of the Day is a leading importer and distributor of fine European garden pottery, and caters to private consumers and landscape design and architecture firms around the world. To see what Eye of the Day Garden Design Center can do for your business, visit www.eyeofthedaygdc.com. We are a design, installation and maintenance landscape contracting firm specializing in all aspects of Landscape Design and Build! When you invite Green Goddess Gardens into your garden, you are taking an active part in preserving our precious “planted” Earth. You will find yourself marveling and interacting daily with your new outdoor world. Our extensive knowledge of water-wise plant material and efficient irrigation systems guarantee the viability of a landscape despite the probability of reduced water resources. We use organic methods whenever possible promising a vibrant, non-toxic outdoor environment. Simple water catchment systems are encouraged to capture precious rainfall along with Permiculture methods and soil building Biology creating better water holding capacity in your soil. Beautiful plant combinations of color, texture and aroma are our forte. We specialize in naturalistic landscapes and, with our broad horticultural background, we create beautiful gardens within any theme. We integrate your needs and wishes with the possibilities and limitations of your unique property. Our dedicated installation and maintenance crews ensure continuous attention and support. Taryn Tree is the owner of Treehouse Landscape Design, a landscape design and consulting business opened since 2003. Offering beautiful custom designs with 20+ years of experience in the design and horticulture industry, Taryn has successfully helped hundreds of homeowners make their house their "home". Taryn has a deep-rooted passion for design that is demonstrated in all facets of her work as she captures the hearts of her clients and produces what her clients want. She has drawn plans and put in many beautiful landscapes throughout California. Taryn has worked and studied in the landscape industry since 1993. In 2000, she earned her bachelor’s degree in Horticulture, and a minor in Business Management. Taryn takes great pride in her knowledge of plants and design, and is committed to producing high quality work using the best standards and methods. She continues her education by attending landscape conventions and educational seminars to keep up with the latest trends, materials, and methods. If you want a dependable, dedicated and passionate landscape designer who offers sustainable solutions with class and style, Taryn is the one to call. The work of this outdoor professional includes most everything surrounding a home's exterior. A landscaping architect can even work with the home architect to choose the right spot for your Mission Canyon, CA house. From there the Mission Canyon landscaper will develop preliminary concepts for your front or backyard design based on individual needs including the climate and activities that will take place, as well as layouts and planting plans. Landscape architects will also design any structures or outbuildings that will be added to the space. Any grading changes that will be added to the yard are also the responsibility of the architect. This includes any drainage modifications. An engineer can also be responsible for these tasks, but licensed California landscapers are fully capable. Like building architects, they will produce preliminary concept drawings as well as detailed construction documents and planting plans. Three-dimensional renderings and illustrative plans are all supplementary. A Mission Canyon landscaping designer generally will have ecological, aesthetic and technical training, which helps them maximize the potential of your outdoor space. Keeping in mind both style and functionality, garden designers analyze your architecture and yard to produce a plan that may or may not include location and materials for walkways, patios, water features, fences, garden aspects and more. In addition, a landscaper in Mission Canyon, CA will carefully assess your geographic region to choose plants, trees and flowers that will flourish naturally, as well as address concerns such as drainage, screening and soil conditions. Certain landscape designers only help with the planning portion, while some may deliver the plans and then oversee a hired landscaping contractor. Others — typically following a design-build approach — take care of both the design and all aspects of the landscape architecture and construction. 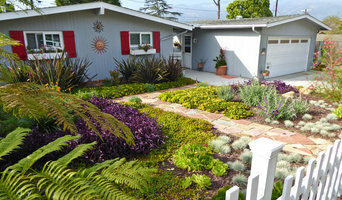 Before you hire a California professional landscaper, consider the scope and emphasis of your outdoor project. Landscape architects, who typically hold advanced degrees in their field, are trained to develop comprehensive structural plans that include plants, hardscaping, water use, drainage and more. Landscape designers typically specialize in the aesthetic and horticultural, rather than structural, side of yard and garden planning. They might or might not have advanced training. Even within their fields, a garden designer may specialize in hardscape- or vegetation-focused designs. In some cases you might need to hire additional help to get the outdoor space you want. Here are some related professionals and vendors to complement the work of landscape architects: . Find a Mission Canyon landscape architect on Houzz. 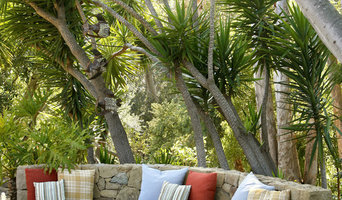 Narrow your search in the Professionals section of the website to Mission Canyon, CA landscape architects and designers. You can also look through Mission Canyon, CA photos to find a space you like, then contact the professional who posted the photo.